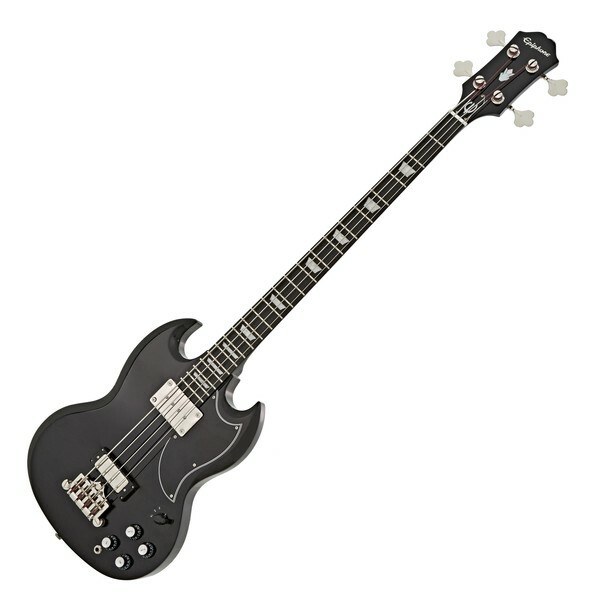 The Epiphone EB-3 SG Bass Guitar, Ebony features a set of powerful humbuckers to deliver incredibly deep lows and expression to suit a wide range of musical styles. A sidewinder humbucker is placed at the bridge while a NYT mini humbucker is situated at the neck, with volume and tone controls for each to creating an incredible versatile bass. The classic SG body and neck are crafted from mahogany, with a rosewood fingerboard added to deliver warm tones with a smooth articulation. 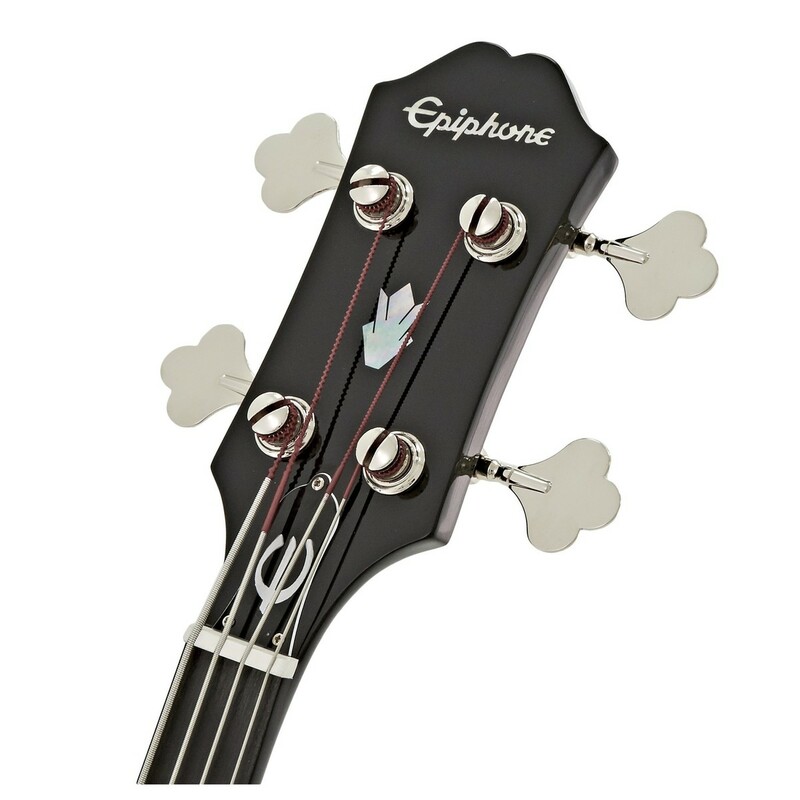 The slimtaper D profile offers a smooth playing experience, while the fully-adjustable bridge and classic style premium tuners enhances the bass' tuning and string stability. 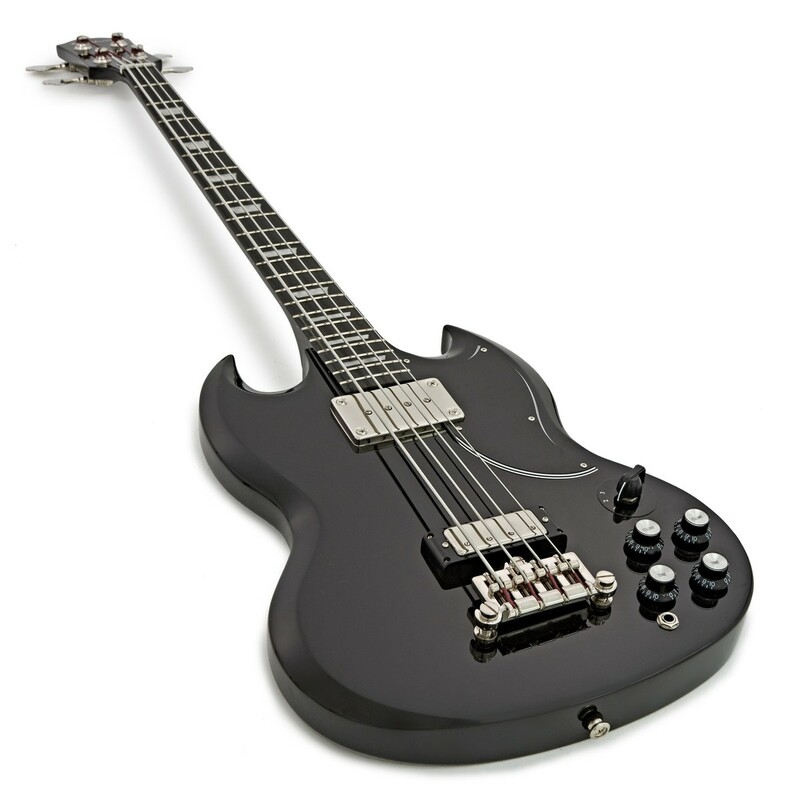 Everything about the Epiphone EB-3 SG bass is designed with high quality components and care, delivering incredible performance and tones to aspiring bassists. 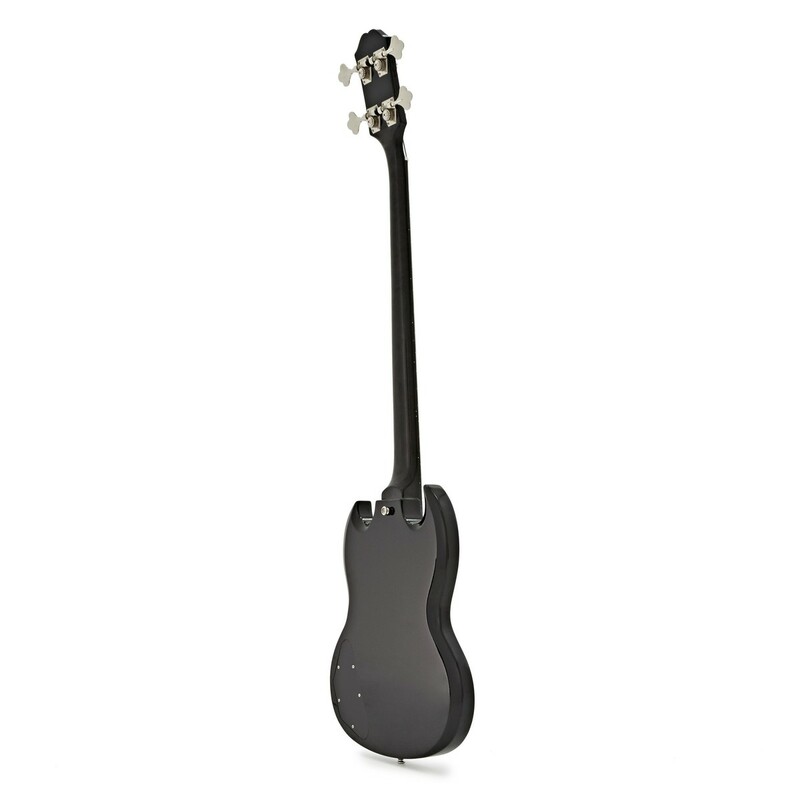 The EB-3 Bass Guitar delivers the same classic design and feel as the old SG bass, which was the only bass guitar they offered during their golden era, providing a stunning feel and performance that many bassists fell in love with. Its mahogany body and neck is accompanied by a rosewood fingerboard, delivering with an incredibly warm tone and an amazing sustain. The addition of rosewood helps create a smooth articulation, while the slimtaper neck profile ensures players receive a comfortable playing experience. 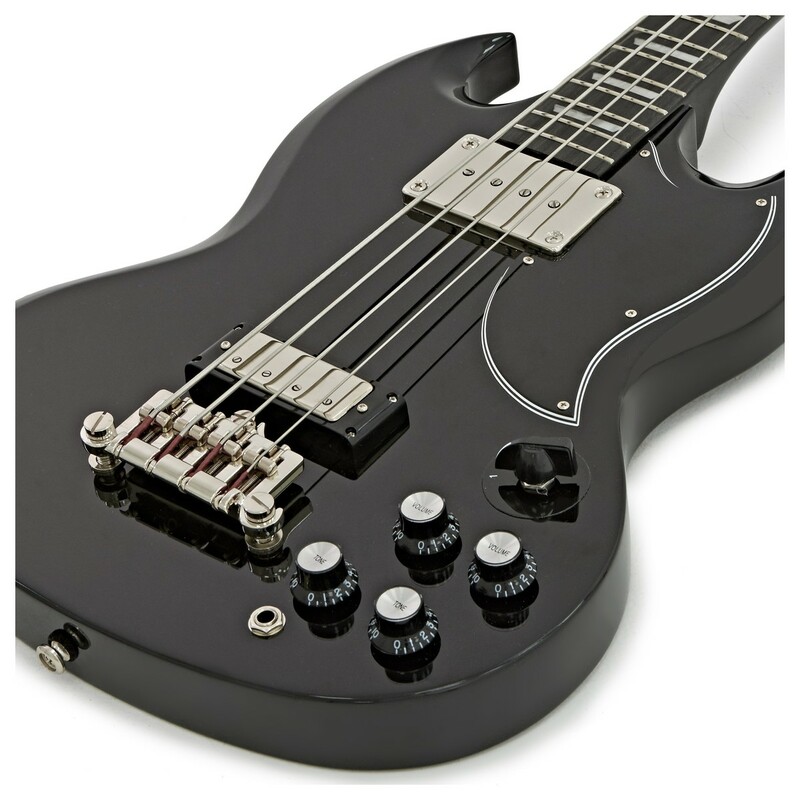 The fingerboard is decorated with trapezoid inlays, and the iconic SG-style body features a stunning ebony finish, making this bass certain to stand out on any stage. The bass features a powerful Sidewinder humbucker pickup in the neck position and NYT mini-humbucker in the bridge position, which translate the Mahogany body's natural resonance into a rich, rounded bass tone with excellent definition. The pickups are equipped with a retro style three-way selector switch, as well as individual tone and volume controls for each pickup, allowing you to customise and perfect your sound.